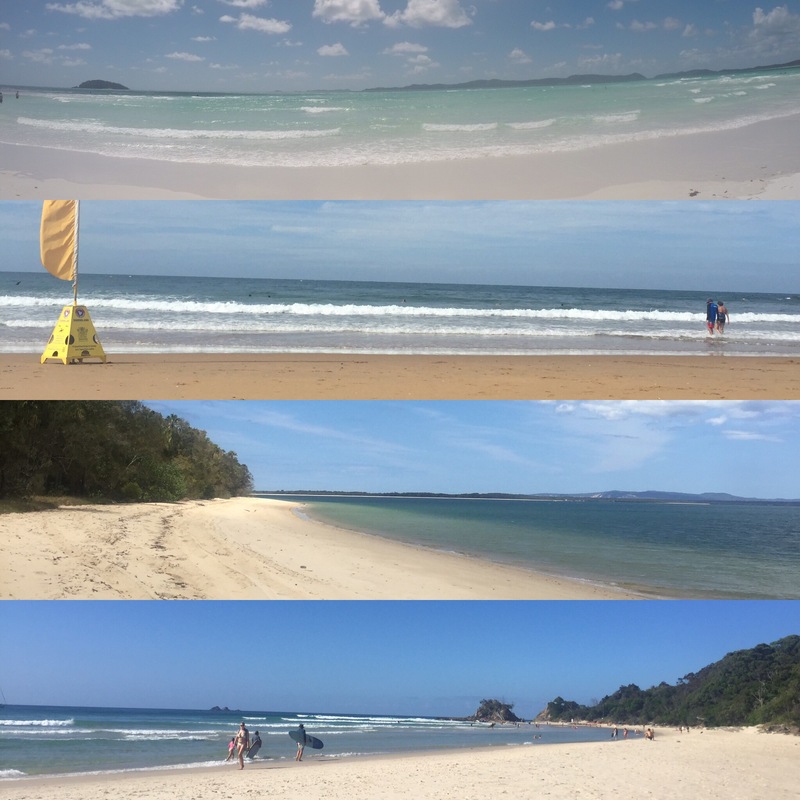 We had a fantastic time travelling up the east coast from Sydney to Cairns. We met some incredibly lovely people, saw some beautiful coastlines, drank copious amounts (mainly of the budget box wine known as ‘goon’), went to heights of 14,000 feet and depths of 18 metres all within the space of 6 weeks. The east coast is probably one of the most famous trips in Australia and, especially for people of my age, it can sometimes be one of the only parts of Australia people will visit (especially if you’re on a short timescale). Australia is a lot more than just beaches and parties – it has a bit of everything that would suit anyone – but, as it’s so well known and so popular, I thought I’d give you my ToP 10 things that the east coast has to offer as I have experienced it. Australia is known for its great weather and, although this is mainly true, its worth knowing that in winter, places like Melbourne and Sydney can get pretty chilly (for Aus standards anyway). In the North they get a wet and dry season instead of winter and summer – but don’t let that put you off! My experience of the wet season (we were entering it by the time we ended our east coast trip) is of it only raining in the evening. So, you’ll get to sunbathe, swim, explore and hike to your hearts content during the day in beautiful sunshine and then just run to the club to avoid the rain in the evening – not so bad really! You’ll hear a lot of people talk about there being no o-zone layer which, as far as I’m aware, is true. It’s nothing to be scared of – just wear sun cream (something you should do anyway) and you’ll hopefully remain un-burnt and unaffected. Australia is also great for having plenty of water fountains which is essential when it can get to temperatures of around 40 degrees! Australia is famous for its beaches which really isn’t surprising once you go visit them – white sand and turquoise sea galore! You will spend a lot of your time sunbathing, chilling, swimming and surfing on beaches along the east coast including completing some really nice coastal walks. You’ll definitely make the most of what Australia is famous for! Once you get to Airlie Beach you can’t swim in the sea because of killer box jellyfish and that’s the same the further north you go (and then Cape Tribulation has the added danger of crocodiles – yikes!) – they compensate this by having big lagoons in Airlie Beach and Cairns which definitely do the job on a hot day. For anyone who has read my blog, you will know that we spent a week learning to surf at a remote surf camp called Spot X run by the very good Mojo Surf Team. Surfing is lived and breathed by some many Aussie’s, particularly on the east coast, and is something you MUST try at least once when travelling your own east coast adventure. We thoroughly enjoyed our time at Spot X. We made some great friends who we then saw again and again as we travelled up the east coast and we got to experience that amazing feeling when you catch a wave and ride it into the beach. 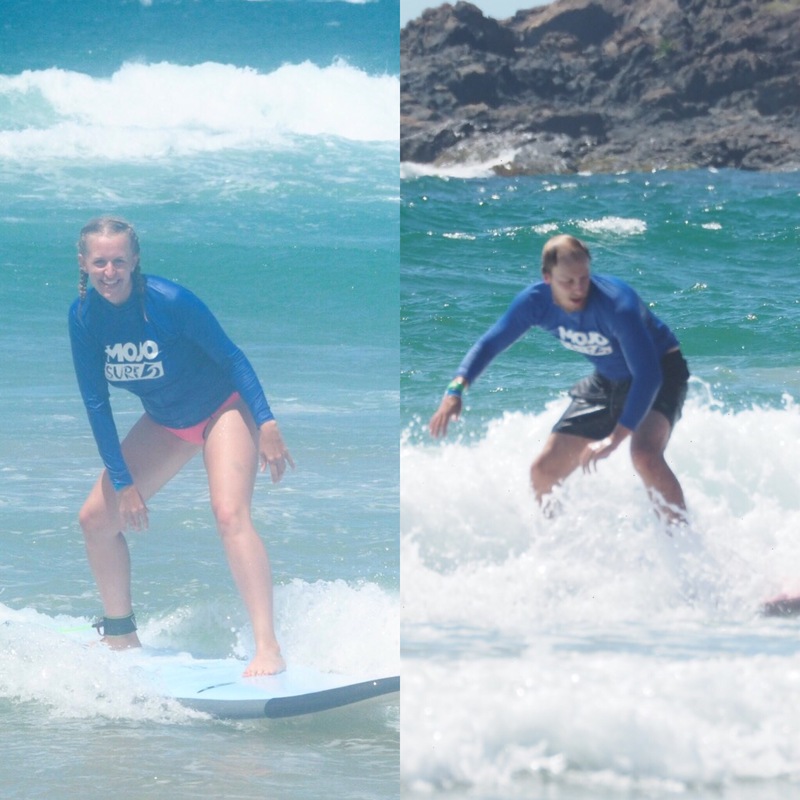 I couldn’t recommend more giving surfing a go, whether that’s through a camp like us, an hour lesson on a beach such as Byron Beach or even just hiring a board and giving it a go on your own. Australia is full of amazing wildlife (as well as deadly wildlife but lets not dwell on that). 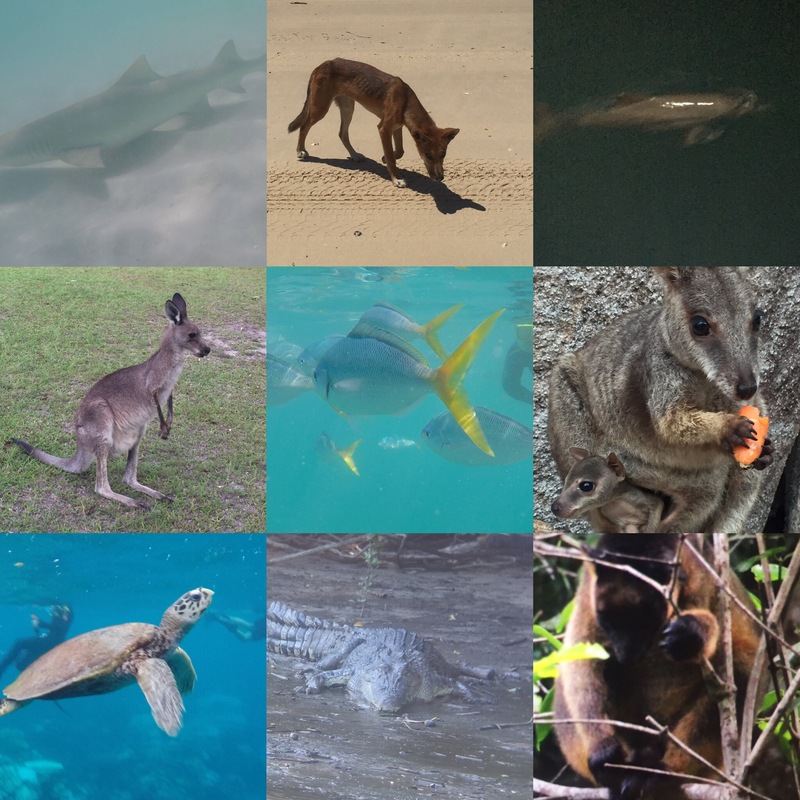 If you only have time to do the east coast you will have your wildlife needs met as you will be able to see koala’s, kangaroos, wallabies, crocodiles, turtles, dolphins, dingoes and an array of fish. You never know, you may even see sharks and huge spiders (i’ll leave you to decide whether that’s lucky or not)! The Great Barrier Reef is the world’s largest coral reef and can be seen from space. You’ll definitely not get to see all of it whilst you’re doing the east coast – unless you have tonnes of time AND money but the portion you’ll get to see is incredible. You may or may not know that the coral reef isn’t very healthy at the moment and so it’s best to try and see this amazing ecosystem while you still can! 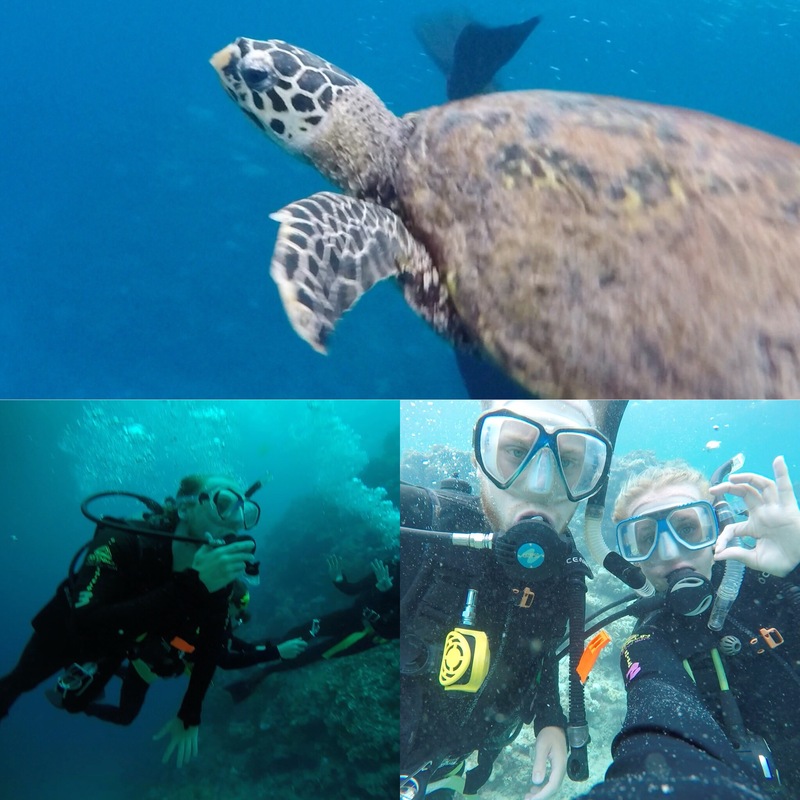 As is mentioned in one of my blog posts, we did our PADI open water course with a company called Deep Sea Diver’s Den. They offer both snorkelling and scuba diving (courses and intro dives) and take you to the outer reef which is a bit healthier and sees less sea traffic. There are so many different companies and they’ll all get you on the reef so it’s really up to you which one you go for depending on what you want your experience to be and what your budget is. No matter what though, the Great Barrier Reef has to be a definite part of any east coast trip so make sure you leave yourself the time and make room in your budget to get out and see it while you still can! This was one of the best things we did whilst on the east coast. In case you haven’t read my post on it I’ll give you the synopsis. You take a bunch of 4 wheel drive cars onto the largest sand island in the world and explore for two days, swimming in the clearest fresh water lakes, driving on the beach and looking out for dingoes. We met some great people who we either travelled the rest of the east coast with or who we ended up seeing in random spots both in Australia and New Zealand. 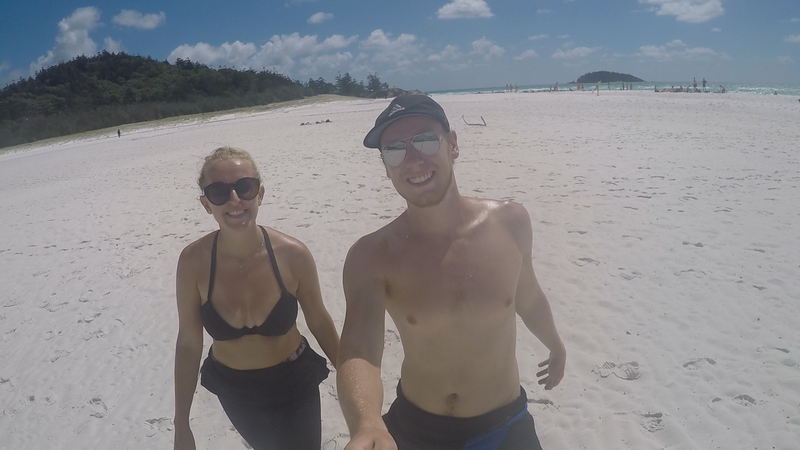 We saw some beautiful sights and I think Lake McKenzie needs a special mention as it is the most spectacular lake I think I’ve ever seen and is would be worth a trip to Fraser Island just to spend your full time here! The Whitsunday Islands trip is another big seller on the east coast and has many variations depending on what you’re looking for. All trips will take you to the gorgeous Whitehaven Beach and you’re likely to get some snorkelling on all the trips running as well. The rest is your preference, some offer fishing, sailing or staying on a luxury resort. You can also choose your level of partying from The Clipper offering you one non-stop parties to other boats offering a MUCH more chilled atmosphere and sleeping out under the stars. 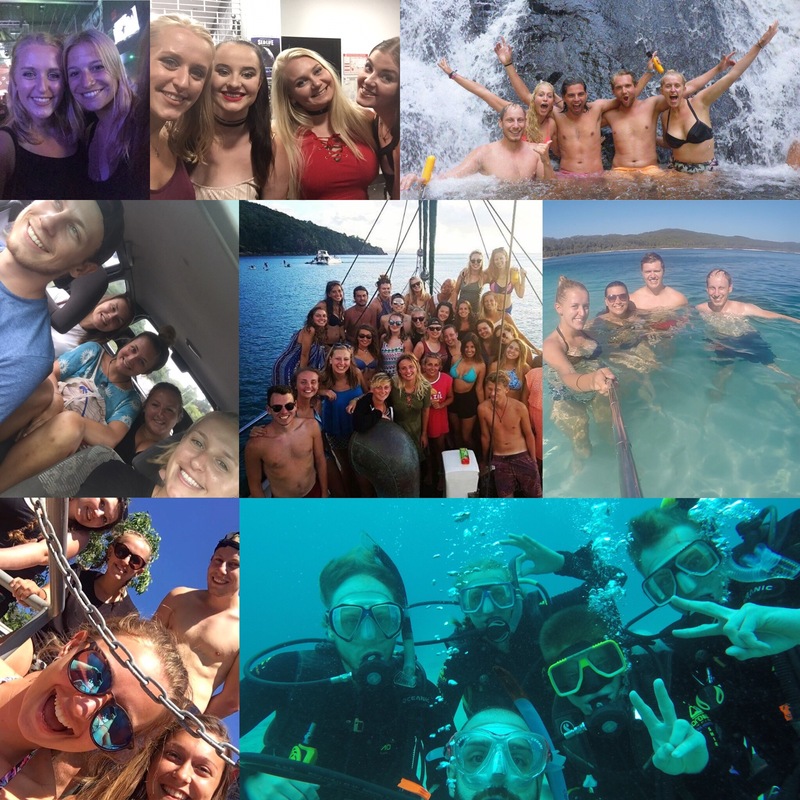 There is something for everyone on the Whitsundays. You can skydive all over Australia but why not do it when you’re already on such a memorable trip? We chose Mission Beach for our 14,000 foot drop as it allowed us to land on the beach but this isn’t the only location you can do that. Different places offer you different views and all places will be amazing. There is something amazing about throwing yourself out of a plane and free-falling. It’s only when the parachute opens that you’re really going to take in the view. I hope it isn’t my last time skydiving but I am very happy that my first time doing it was on my east coast trip. The friends you make on the east coast are what makes your trip as good as it will be. You will make friends just for the night or friends that you end up spending most of your time with until you all go your separate ways in Cairns. We met so many lovely people and can confidently say that our time on the east coast would not have been the same without each and every one of them. Everyone has different experiences, even when you’re on the same trip, but however you’re going to do the east coast, make sure you allow yourself to meet new people and make those friendships as it’ll make your trip that little bit better. It may be strange having Cairns in my top 10, particularly as there are nicer places you’ll visit along the east coast (everyone loves Byron Bay and Airlie Beach is one big party) but I have chosen Cairns because it’s where most people end their east coast trip and so it kind of acts like a big reunion. Everyone spends different amounts of time here depending on their schedules, but it’s unlikely you won’t see people who you have met from some stage of your east coast trip whilst on a night out in Gilligan’s. Gilligan’s itself needs a mention as it’s probably the most famous hostel on the full east coast. It really is one of those crazy places that has outrageous games and competitions on most nights and offers a free ‘champagne’ ladies night what seems like every other day. Around Cairns there is also so much to do! 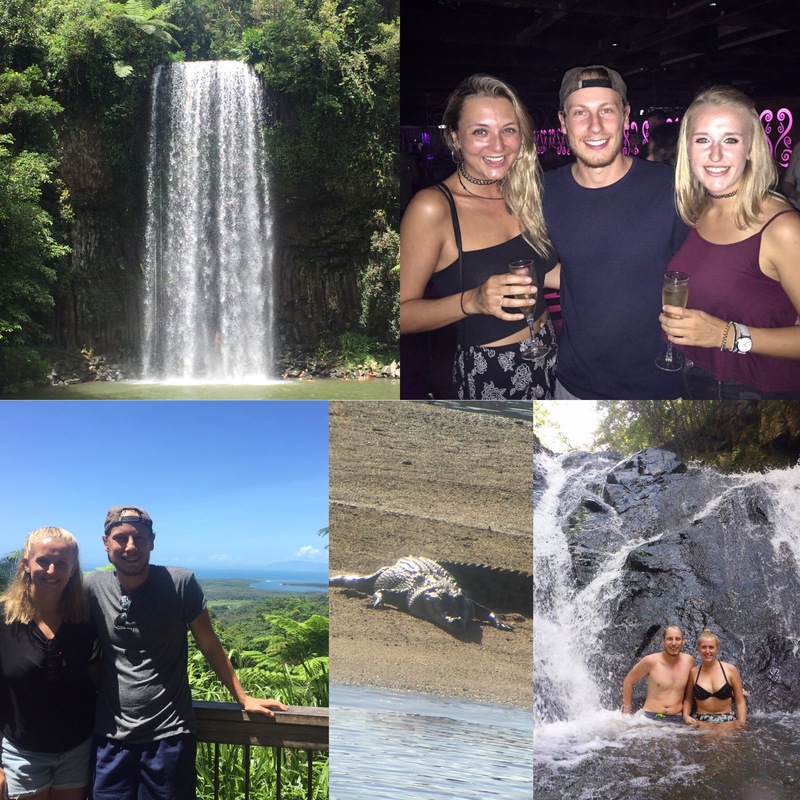 You can explore the incredible Great Barrier Reef, swim in lakes and waterfalls, visit the oldest rain forest in the world and go crocodile spotting. You can also get your adrenaline kicks with skydives, bungee jumps and everything in between – if you have the money – the activities are endless! There is something for everyone in Cairns. I hope you liked my Top-10 list. The east coast will be so much fun whether you catch the greyhound bus from Sydney to Cairns like we did or hire a camper-van and do it yourself. It’s important to remember how big Australia is and, particularly if you plan on driving it yourself, how long some of those journey’s might take you. We have great memories of our travels and would recommend travelling the east coast to anyone – hopefully you’ll get to experience it for yourself one day!